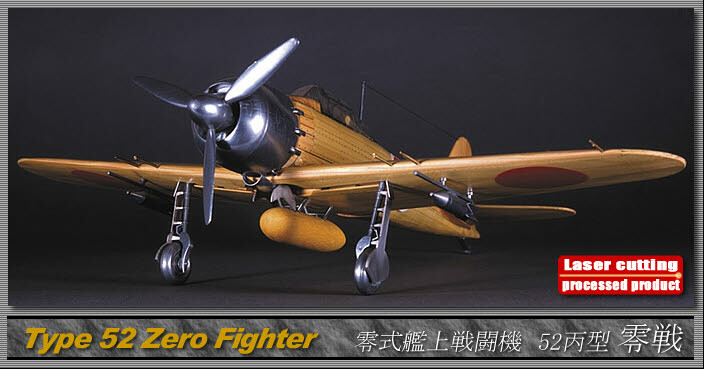 From the end of the Pacific War to the present, a zero fight known as a representative fighter in Japan. 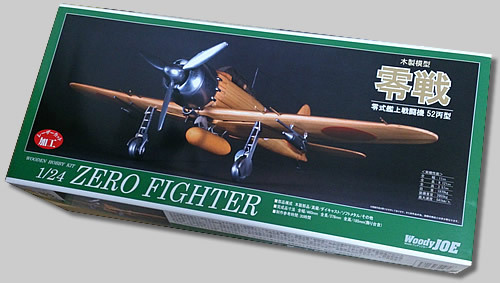 It was the final model as naval fighter fighter, and was afraid of the name of "Zero Fighter" from the then Allied Pilot. 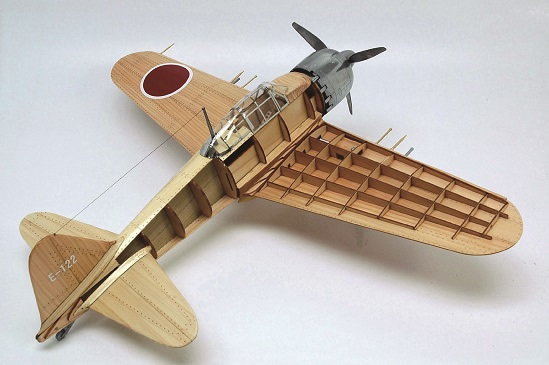 However, since the middle of the war, the dominance of its fighting power gradually declined from the mass injection of the new allies of the Allied Powers and the loss of veteran crewmembers on the Japanese side, and it was used as a special attack machine in the end of the war. The kit reproduces type 52 hood type. Aircraft, main wing is an assembly formula of skeletal outer plate structure. High precision wooden laser processed parts, including cowling, propeller, wheel, machine gun etc, many metal parts are used. 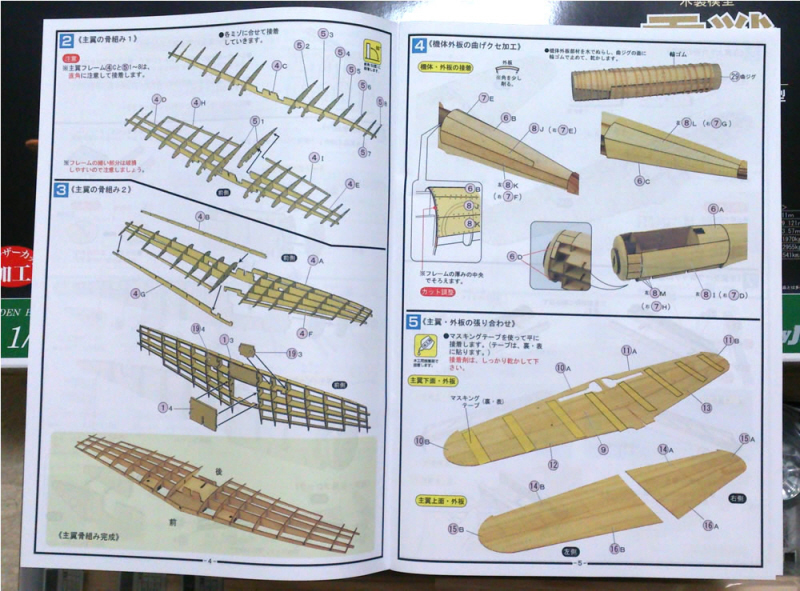 It is a precision model that is easy to assemble. The kit reproduces a 52 type type. A body and the main wing of the frame shell structure is sectional. Highly precise wooden laser material processing parts. 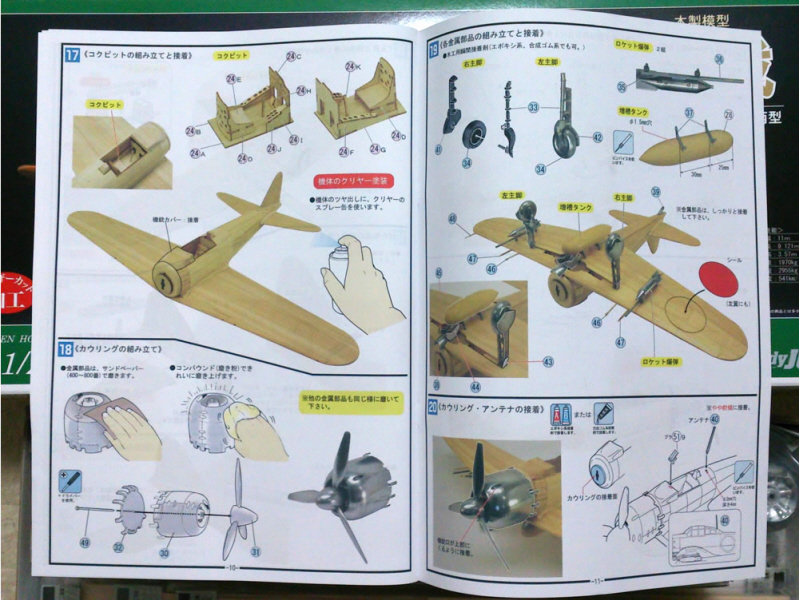 A cowling, a propeller, a wheel, the machine gun use a lot of metal parts. It is the exact model which it is easy to assemble. Wooden parts cut by laser. Brass. Die cast. Soft metal. 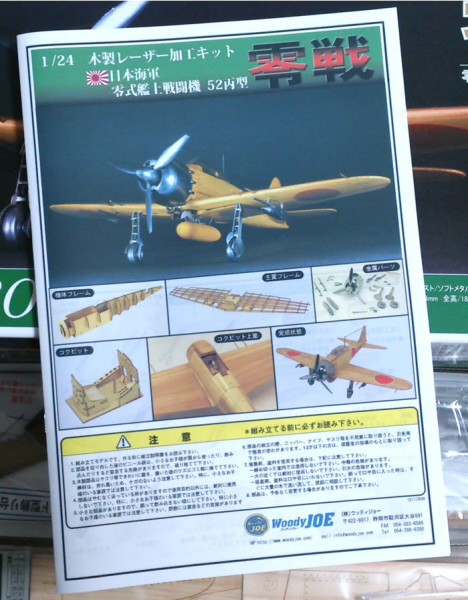 Woody JOE "Aichi M6A Seiran - Submarine-launched dive / torpedo bomber"